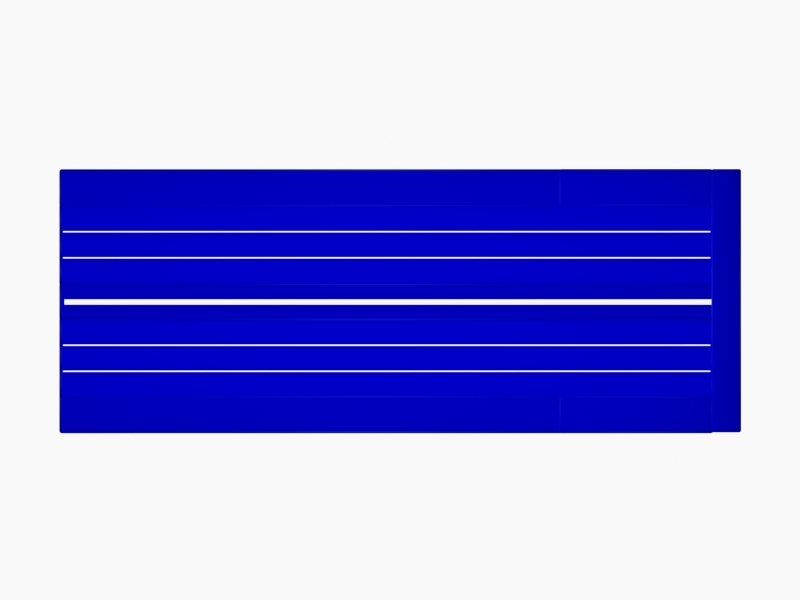 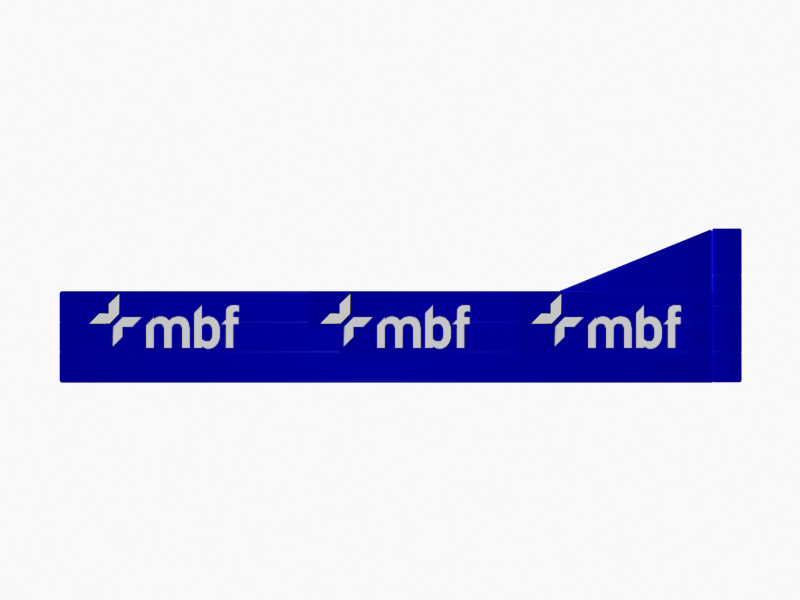 design, build, ship & delivery. 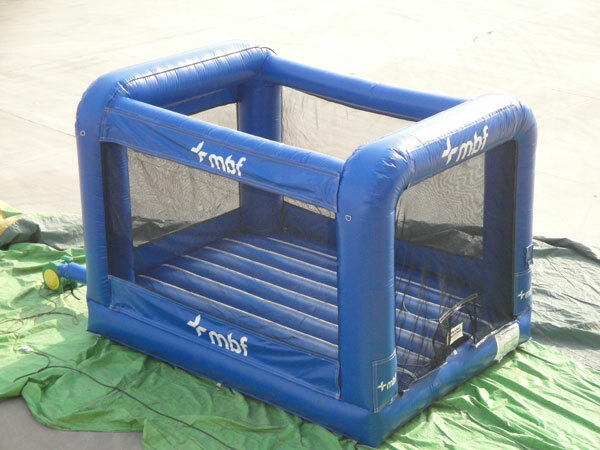 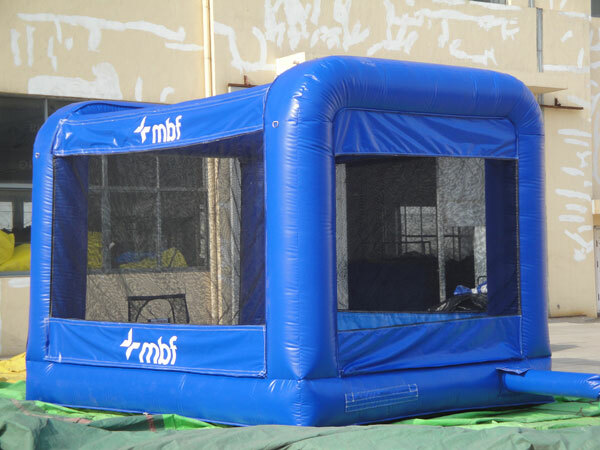 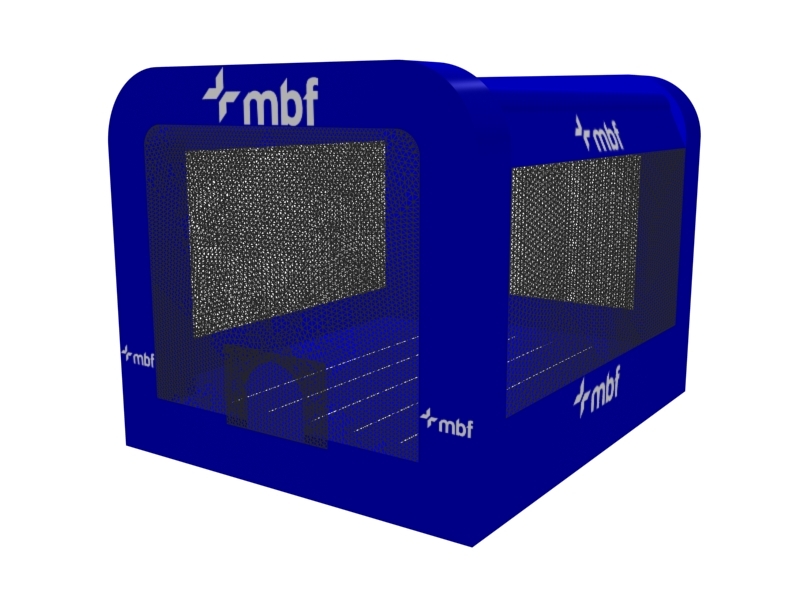 MBF Insurance promoted health and fitness in a 2010 campaign with these inflatables. 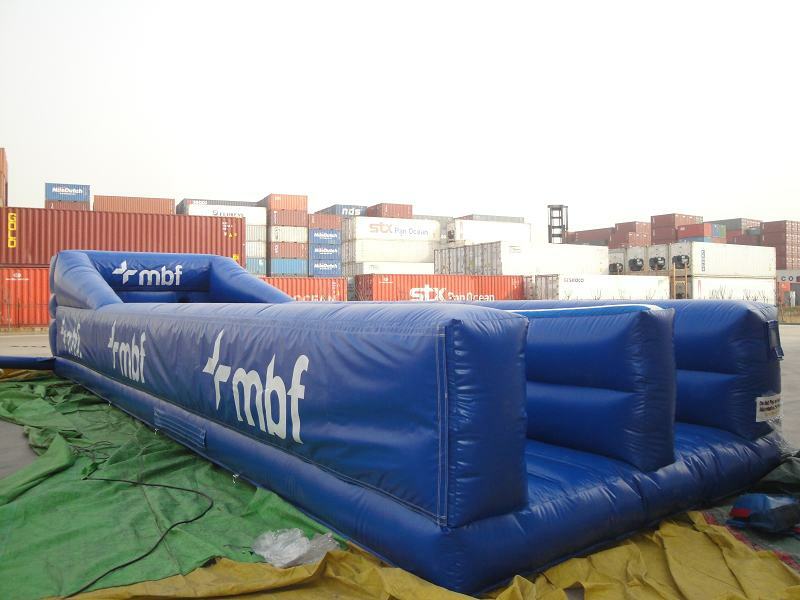 The bungee run being a horizontal inflatable whereby contestants run towards the end, trying to extend the Velcro pad as far as they can. 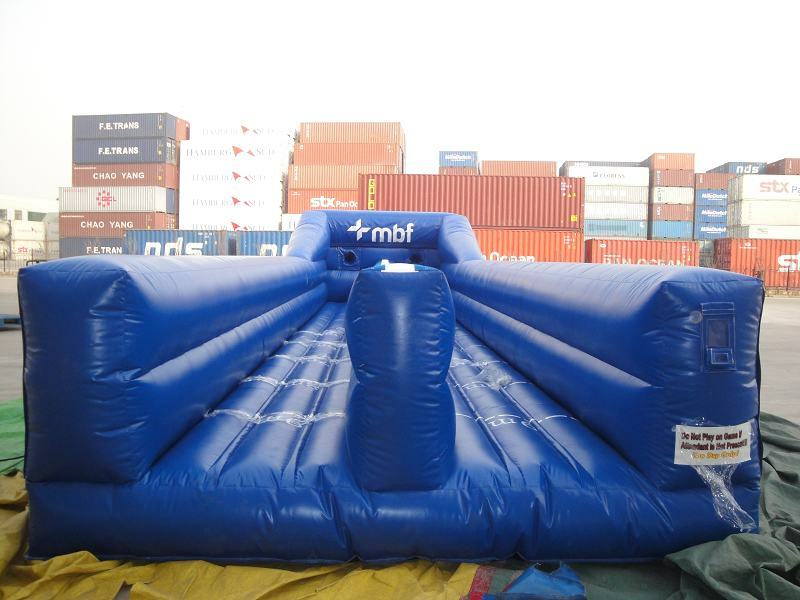 As you can see, this bespoke inflatable has measurements on the floor so contestants can see how far they reached. 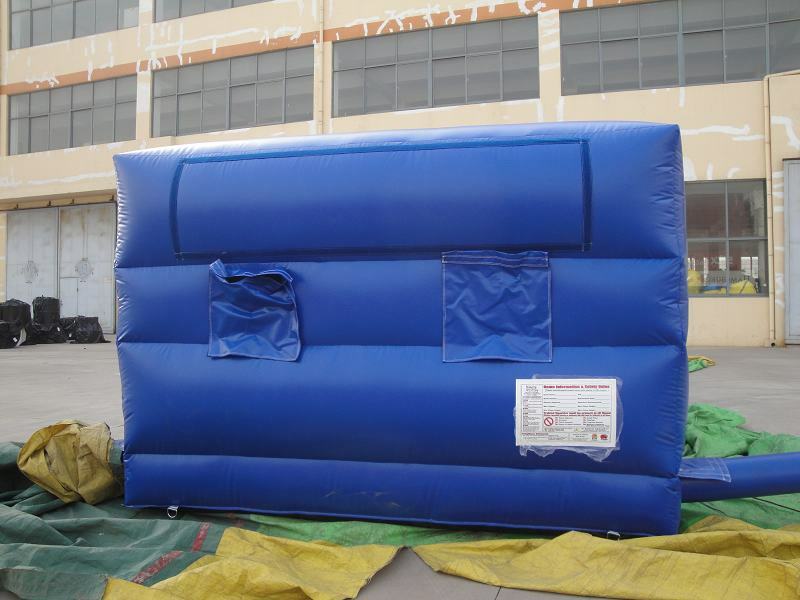 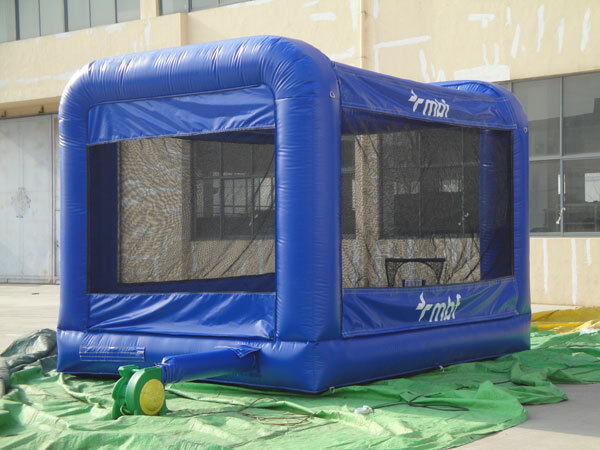 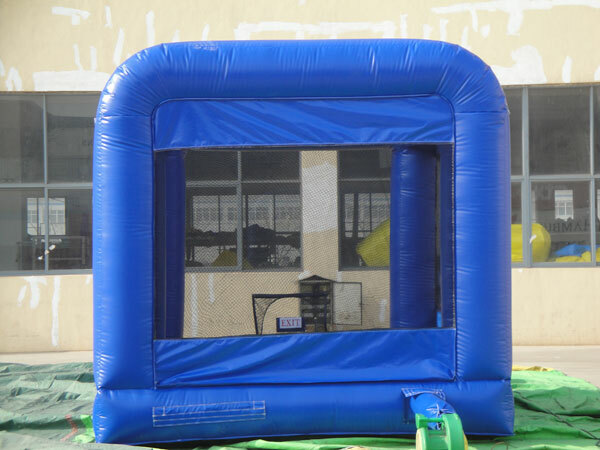 The jumping castle was used to give children a go of their inflatables when they weren't old enough to participate in the bungee run activity. 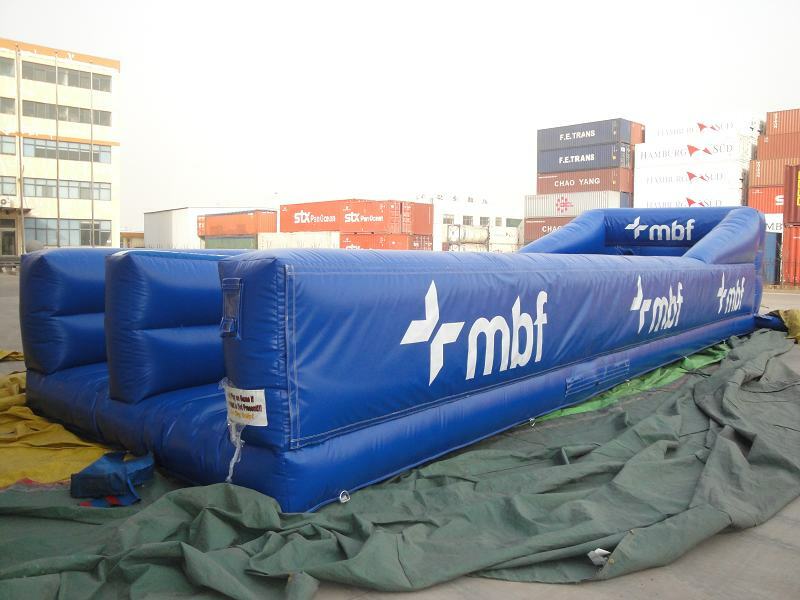 MBF has since joined Bupa so we'd love to know where these inflatables are now!